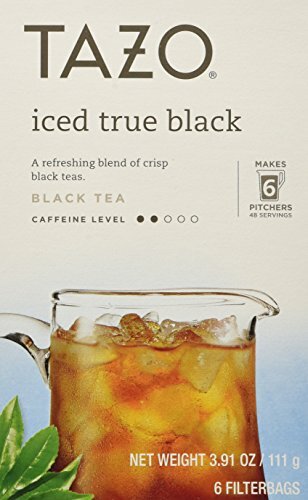 Tazo Iced Black Filtered Tea - 6 bags per pack -- 4 packs per case. This blend of black teas from Indonesia, Sri Lanka and India has a bright, brisk flavor just what you want in a refreshing iced tea. It goes perfectly with a hammock under a shady tree on a balmy day. Mix with lemonade for a citrusy taste. GTs Enlightened Synergy Organic and Raw Kombucha Gingerberry, 16 Ounce -- 12 per case. GTs Enlightened Synergy Organic and Raw Kombucha Mystic Mango, 16 Ounce -- 12 per case.